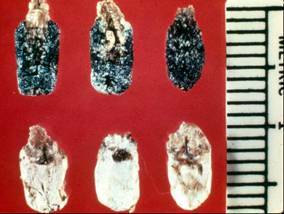 This is a disease affecting sealed brood and is caused by the fungi Ascosphaera apis. 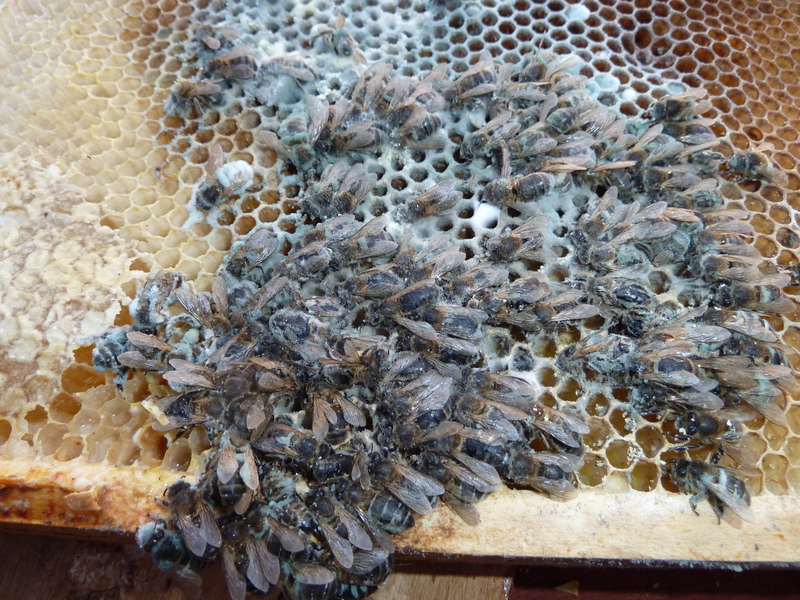 The presence of chalkbrood is influenced by climatic factors, which influence the temperature and humidity in the hive, especially when it is cooler and wet. 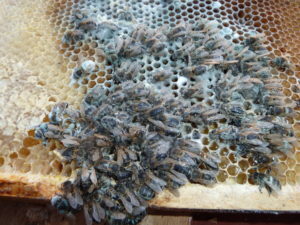 This fungus can affect a single colony or an entire apiary or even regions in “chalkbrood years”. At first larvae are covered with a fluffy, whitish fungus growth. After death the larvae become mummified and have a chalk-like appearance; the colour varying from white, to grey to finally black. 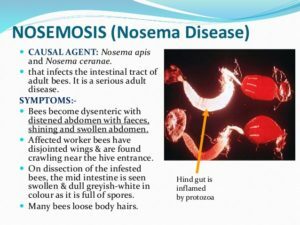 Even though this disease is considered to be extremely rare, it has recently been confirmed in bees in the Gauteng region. This disease is caused by the fungi Aspergillus flavus, A. fumigatus and/ or, A. niger. The spores can easily be transmitted. 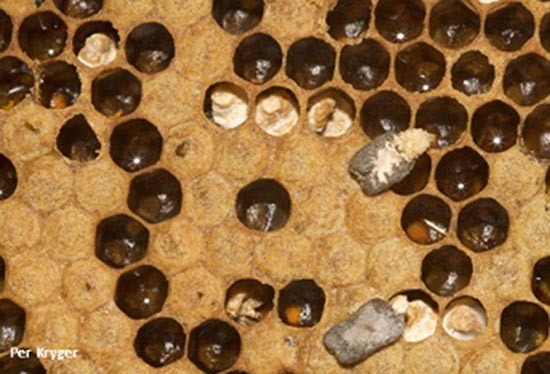 Stonebrood is pathogenic to larvae, pupae and adult bees and can cause respiratory diseases in humans and other animals. Early stage of stonebrood infection is difficult to detect but after death larvae become very hard and are difficult to crush. Nosemosis is a common disease of adult honeybees, caused by the microsporidian Nosema apis or Nosema ceranae. Although N. ceranae is not associated with dysentery, it has been linked to colony losses and is often associated with other diseases such as viruses. 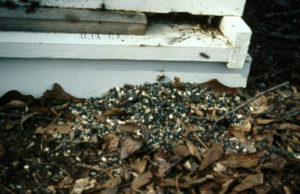 Infected bees suffer from severe dysentery, subsequently resulting in starvation and a shortened lifespan. Reliable diagnostic symptoms are lacking, however heavily infected bees have swollen and greasy looking/ shiny abdomens and are unable to fly. They may crawl at the entrance or stand trembling on top of the frames. There may be dysentery spots on the hives, frames and landing boards with dead bees at the entrance. Powered by WordPress. Theme: Shophistic Lite by Quema Labs.